Approach Description: We are integrative, holistic, and client-centered. We use a variety of approaches to assist you with your concerns. Our mantra is based in creating the most comprehensive treatment plan to help you in the way you feel most comfortable being helped. Education: Master of Counselling Psychology, PhD in Clinical Psychology. Insurance Details: Insurance covered under Registered Psychotherapists & Registered Psychologists. Online Therapy Details: Online therapy is offered via Zoom video counselling & via phone calls. 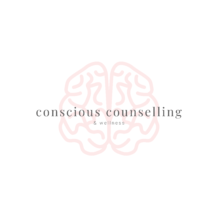 Conscious Counselling & Wellness is well versed in providing excellent services to those who seek. Considering we offer psychotherapy, tension & trauma releasing exercises, health coaching, and mindfulness individual and group sessions, there is something for everyone. With a variety of options, talk therapy need not be the sole way to approach. We want to give you the most holistic plan possible for your overall well-being. In terms of psychotherapy, we offer integrative-client centered counselling. We focus on you and what you would like to achieve from therapy. We will offer support, guidance, and a plan to move through the concerns you are facing. We want to highlight that our approach to therapy is what feels most comfortable for you. We want you to feel supported and honoured- not judged. We believe in your healing & we are well equipped with tools to do so. For more information, please feel free to read more about our specialties to learn more about how we work with individual concerns, visit our website at www.consciouscounselling.co or call us at 647-282-0122. We look forward to being in touch! We are located just south east of Keele St. & Rutherford Rd. If you are at Keele on Rutherford coming from the west, make a right on Keele and we are located on the left of the road. If you are coming south on Keele, once you pass Rutherford, it will be on your left side (Regus Building).